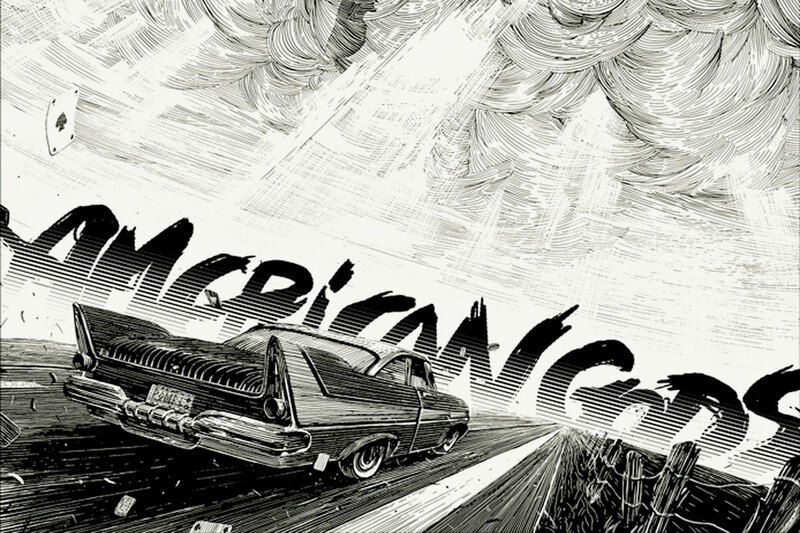 From the incredible imagination of author Neil Gaiman comes the series adaptation of American Gods. Some of the most fascinating stories of the modern day have come from the mind of author Neil Gaiman and American Gods is no different. The series adaptation of Gaiman’s 2001 novel has been kicking around in development for years, attached to both HBO and Cinemax at one time or another before finally landing at the Starz network. Starz released a first look at the incredible undertaking yesterday and fans of Gaiman and television alike are losing their minds over what looks to be ‘must-see tv.’ Gaiman himself has seen the scripts and, except for a few notes here and there, he has praised the talent and writing behind the series. American Gods is the story of Shadow Moon, a convict released from prison, who inadvertently gets tangled up in a war between the old world gods (think characters from Thor) and the new gods (think ‘the internet’) happening in the midst of modern-day American culture. The series stars a slew of television favorites including Gillian Anderson (X-Files, The Fall), Ricky Whittle (The 100), Ian McShane (Deadwood, Ray Donovan), Cloris Leachman (Raising Hope), Pablo Schreiber (Orange is the New Black, The Brink), Orlando Jones (Sleepy Hollow), Crispin Glover (Texas Rising), and Dane Cook (Hawaii Five-O). BONUS VIDEO: Watch below as Neil Gaiman describes to Seth Meyers what it’s like as a writer to hand over his work for a television or movie adaptation.